More than 20 students were injured at the University of Papua New Guinea (UPNG) in Port Moresby when police opened fire on students protesting against corruption on June 8. Several of those injured remain in a critical condition. Students have been protesting and boycotting classes since May 2. The students were demanding the resignation of Prime Minister Peter O'Neill over corruption allegations and authoritarian moves to block investigation of the allegations. About 50 people attended an action in solidarity with students in Papua New Guinea outside the PNG Consulate on June 10. On June 8, PNG police shot at protesting students at the University of Port Moresby. Sydney-based Papua New Guineans were joined by students, academics, unionists and NGOs to call for an immediate stop to the repression and for the students' demands to be met. 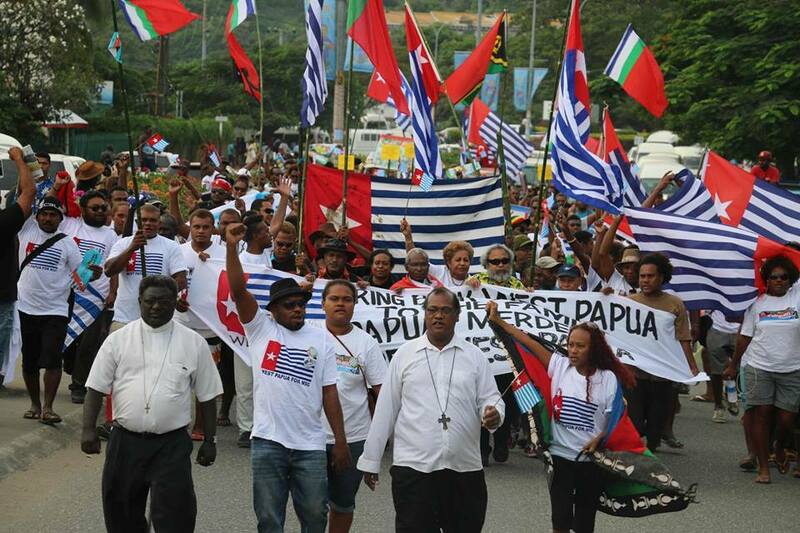 Marchers in Honiara in support of West Papua’s bid to join the MSG, June 19. 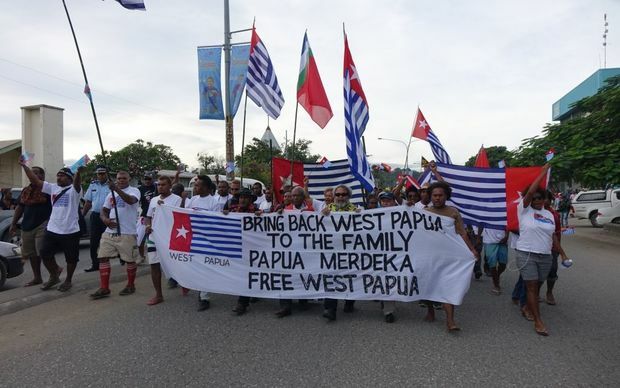 The Melanesian Spearhead Group (MSG) granted the United Liberation Movement for West Papua (ULMWP) observer membership during a summit meeting in Honiara on June 26. It also upgraded Indonesia’s membership from observer to associate.